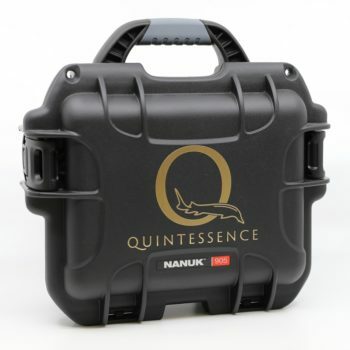 Quintessence Caviar is a family owned and operated sturgeon caviar business based in Montreal, Canada, serving every segment of the market in all major cities from coast to coast: Vancouver, Calgary, Edmonton, Toronto, Ottawa, Montreal, Quebec City and much more. 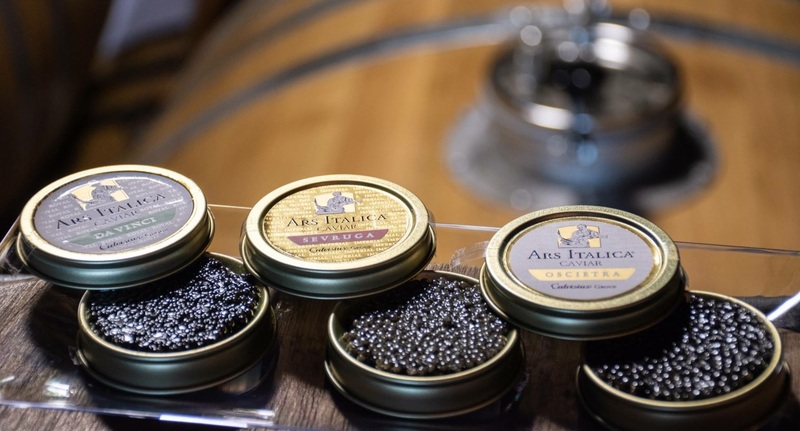 We are proud to offer the widest selection of sturgeon caviar species in Canada from our imported and world renown caviar (Oscietra, Sevruga, Beluga, White Sturgeon, and Naccari) to our local Canadian sturgeon & caviar (White Sturgeon, Lake Sturgeon and Atlantic Sturgeon). 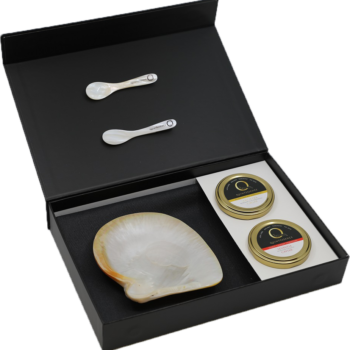 All orders within Canada ship under 24 hours of receiving them using UPS overnight srvices, whether it’s caviar, sturgeon meat, gift baskets or special requests. All orders over $250.00 ship for FREE of charge. Quintessence Caviar is proud to be collaborating with “Sturione Ticino” in the heart of the Ticino park, in Cassolnovo. Four species of sturgeon are bred to produce sturgeon caviar exclusively for Ars Italica caviar. 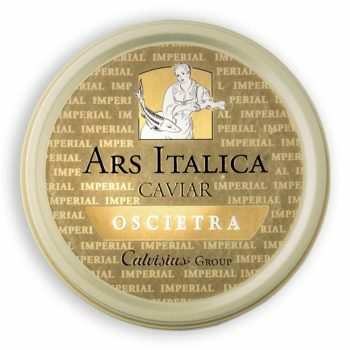 Quintessence Caviar is the exclusive importer of Ars Italica sturgeon caviar to Canada and other countries around the world including. 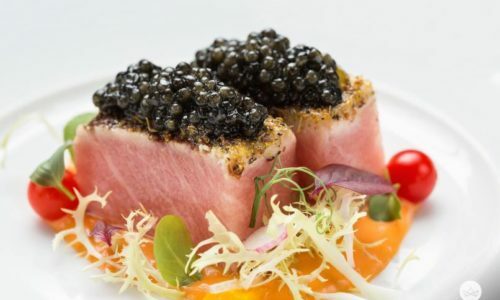 The same species of sturgeon caviar are also sold in the United States under the Quintessence Caviar brand. 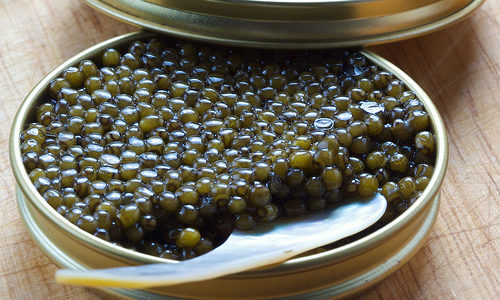 Oscietra caviar, also known as “Russian sturgeon caviar”; this is the first species to be farmed since 1998. 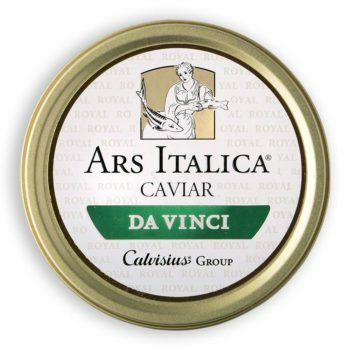 Da Vinci sturgeon caviar originating from the Adriatic sturgeon, raised since 2002, is one of the three indigenous Italian species rescued from extinction by the Giovannini family; Sevruga sturgeon and Sterlet sturgeon in the albino variety as well. All species are certified “Globalgap”, “Friend of the Sea” and are recognized as the “Parco Ticino – Controlled Production” brand. Quintessence Caviar’s Lac St-Pierre sturgeon caviar is one of the only true wild sustainable caviar in the world still fished on small boats by local fisherman from its healthy natural habitat. Lac St-Pierre sturgeon caviar is a true 100% Canadian sturgeon caviar processed and transformed in the province of Quebec. Purchasing the Lac St-Pierre caviar it’s supporting the local sustainable fishing industry. 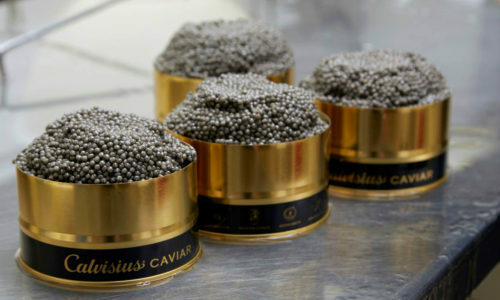 Le caviar d’esturgeon du Lac St-Pierre de Quintessence Caviar est l’un des seuls caviar sauvages durables au monde qui est encore pêchés par des pêcheurs locaux dans leurs habitas naturelle. Le caviar d’esturgeon du Lac St-Pierre est un véritable caviar d’esturgeon canadien entièrement transformé dans la province de Québec. L’achat du caviar du lac St-Pierre soutient l’industrie locale de la pêche durable. Renseignez-vous sur la viande d’esturgeon sauvage pré-portionnée et emballée individuellement sous vide, ainsi que sur nos filets d’esturgeons fumés à chaud. A Caviar Bar at Your Next Event! 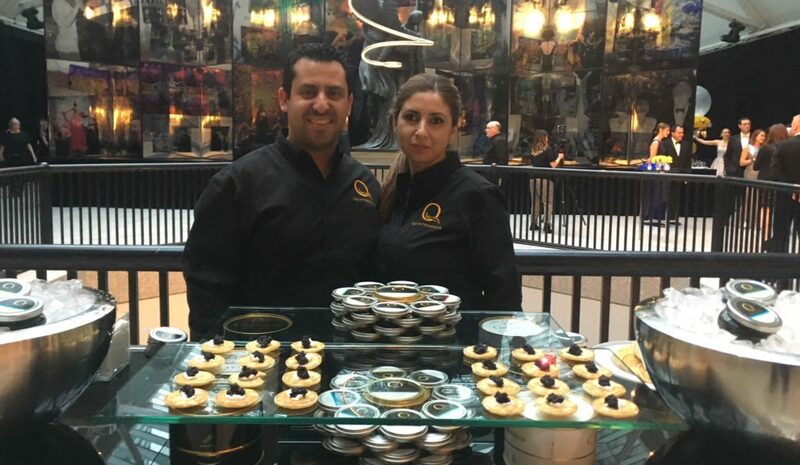 Quintessence Caviar offers you the possibility to elevate the experience at your next event, party, or fundraiser to the next level. Our dedicated sturgeon caviar team will entertain your guests with a magnificent sturgeon caviar bar customized based on your specifications. 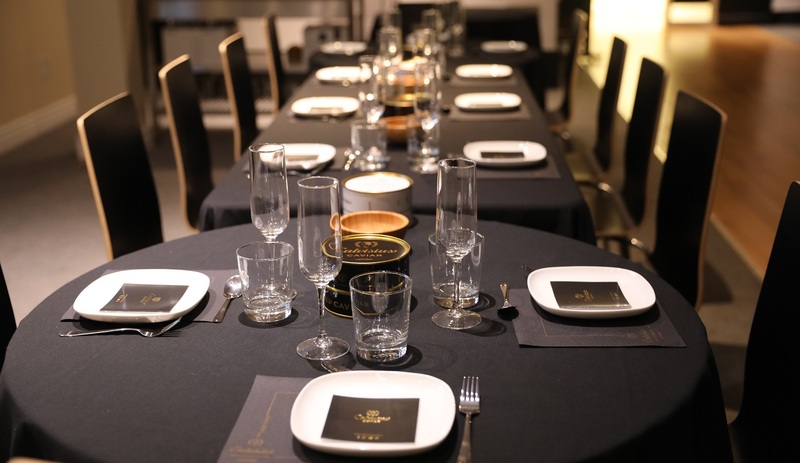 From a simple caviar bar with one variety of sturgeon caviar to the most exquisite caviar installation with six varieties of sturgeon caviar all served on mother of pearls spoons and dishes. 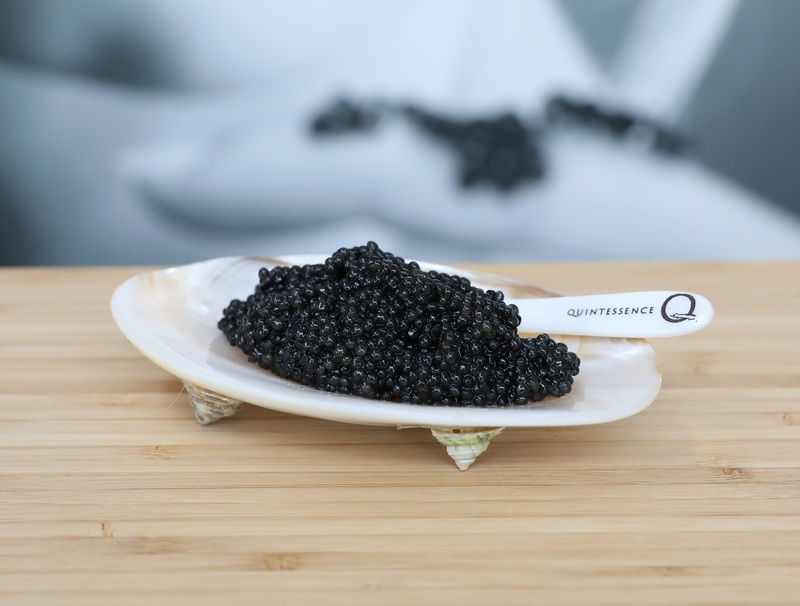 Quintessence Caviar wants you to discover the world of sturgeon and sturgeon caviar. From our acclaimed farm raised Italian sturgeons to our iconic Canadian wild sturgeons , we want you to become a caviar aficionado. 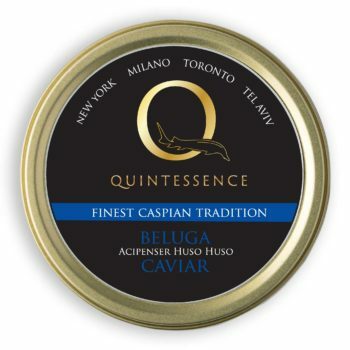 Quintessence Caviar offers you the unique possibility to learn and savor six different species of sturgeon caviars including the world acclaimed Beluga Caviar as well as discover the many ways of cooking sturgeon meat. Offered in our world class facility or any location of your choosing across Canada. A minimum of four people is required for this experience. 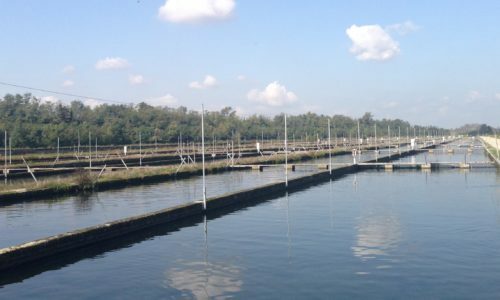 Enter the world of sturgeon farming and sturgeon caviar production at one of the biggest sturgeon farms in the world, in Italy. 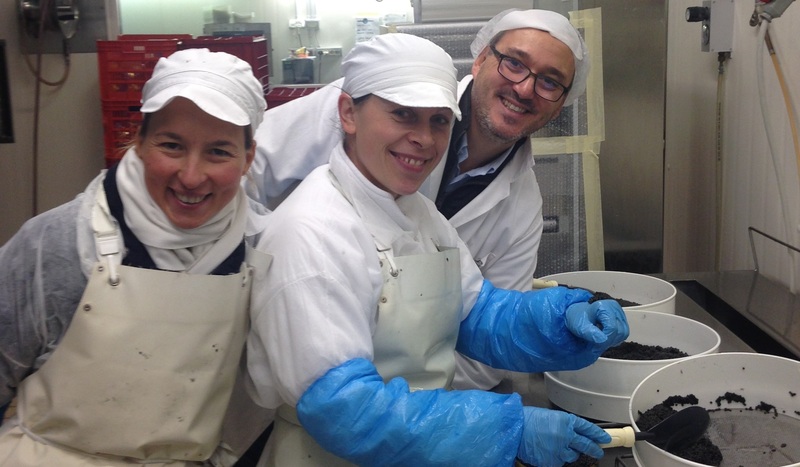 Quintessence Caviar offers you the rare opportunity to visit on a two day journey the fascinating world of sturgeon, yes two full days. This exclusive sturgeon safari includes an extensive visit of the farm and production facilities, harvesting of the sturgeons and production of your own caviar. There will be an extensive caviar tasting over two days as well. Join one of our annual tours or ask about the possibility to organize a custom tour for your group.